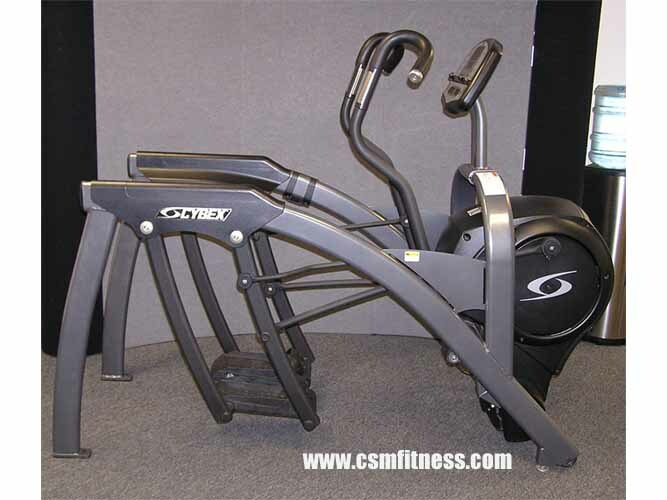 The Cybex Arc Trainer 610A is a sturdy, heavy duty, efficient, and low impact workout that is easy on user’s joints. It features 7 programs: Quick Start, Manual, Weight Loss, Cardio, Interval, Hill, and Strength. Programs have 10 levels and control both incline and resistance. It also features 101 resistance levels. This wide range of the resistance accommodates a wide variety of users. It has 0-10 level incline and contacts heart rate monitor.